Image has been converted to black and white.) 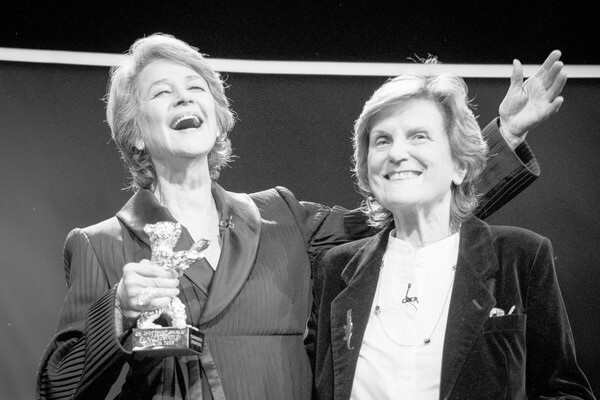 (L-R) Golden Bear winner Charlotte Rampling and Liliana Cavani smile during the Homage Charlotte Rampling Honorary Golden Bear award ceremony during the 69th Berlinale International Film Festival Berlin at Berlinale Palace on February 14, 2019 in Berlin, Germany. Rampling is this years recipient of the Honorary Golden Bear Award of the Berlinale.